The regional government of Cantabria has called on port authorities in Santander to halt the loading of Spanish-made armaments onto a Saudi-flagged cargo ship, following protests by peace activists and a petition that has gathered more than 18,000 signatures opposed to the use of the arms by Saudi-led forces in the ongoing war in Yemen. Regional minister of industry and commerce Francisco Martín told Cantabrian lawmakers on Monday that the governing coalition between the Socialist party (PSOE) and the Partido Regionalista de Cantabria (PRC, Regionalist Party of Cantabria) was opposed to the use of the Santander port for sending the armaments to Saudi Arabia. Martín said the government has called on port authorities to revoke permission for the boat to continue loading the Spanish-made weaponry and explosives, but noted that Santander port authorities have the final say over whether to allow the Saudi-flagged “Bahri Hofuf” to continue loading. In February, protests by Greenpeace and the Basque NGO Etorri Errefuxiatuak forced the same ship to stop loading armaments in the port of Bilbao. 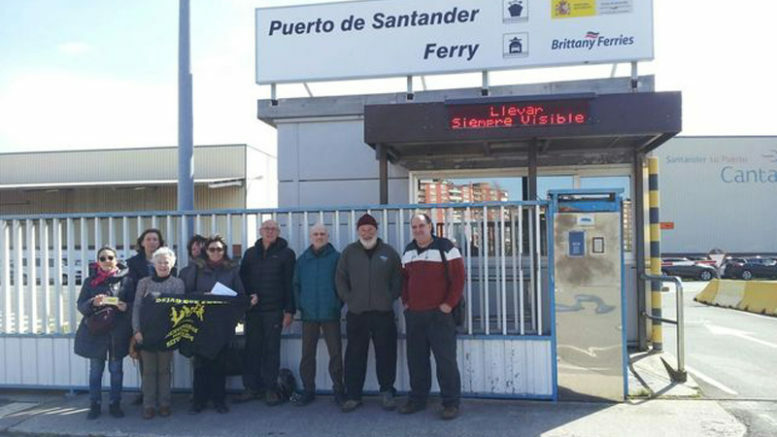 On learning that the boat had moved to the port of Santander, the pro-refugee NGO Pasaje Seguro (Safe Passage) began a campaign in Cantabria to pressure local authorities, gathering tens of thousands of signatures via a petition at Change.org to demand a halt to the loading of armaments and explosives destined for the war in Yemen. The activists plan to take the movement to stop the shipments via Santander to the local municipal council for debate this week and to introduce a resolution in Spain’s Congress of Deputies against the shipments of Spanish arms destined for Yemen.